While berberine may be new to the polycystic ovary syndrome (PCOS) community, nothing is new about the numerous benefits of this potent supplement. Used for thousands of years in China as a treatment for diabetes and infertility, berberine is an herb that is showing great promise for treating -and preventing- many of the difficult and frustrating symptoms and complications associated with PCOS. 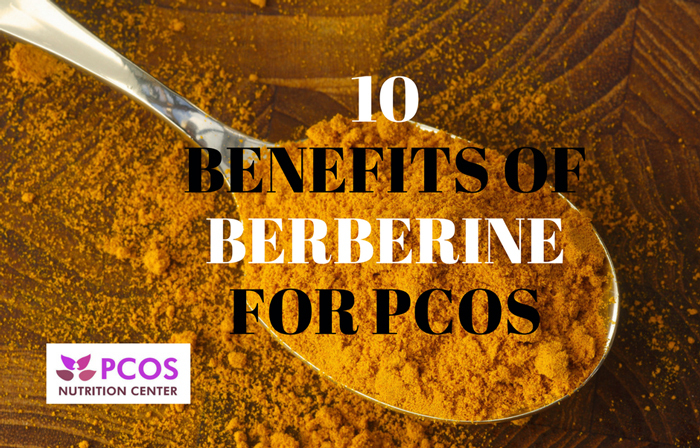 Here are 10 of the many benefits of berberine for women with PCOS. It is believed that women with PCOS have a problem with proper insulin signaling which results in too much insulin being secreted. Berberine improves insulin signal transduction by stimulating glucose intake via the activation of the AMP-activated protein kinase pathway. 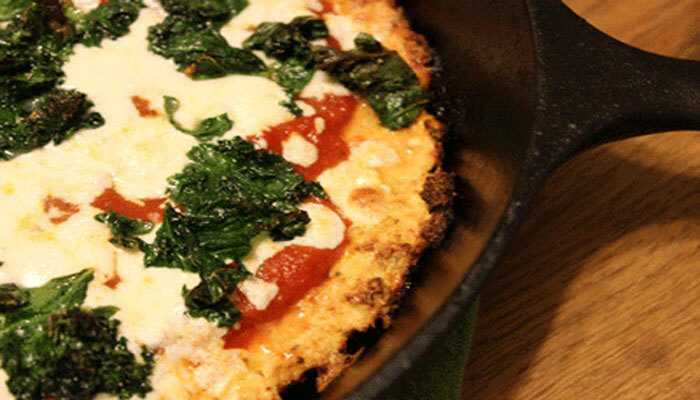 By doing so, it reduces glucose and insulin. Berberine users reported much less side effects (mild GI discomfort) than metformin. Berberine is showing great promise in its ability to lower cholesterol levels. Berberine slows the release of free fatty acids while boosting fat burning in the mitochondria to lower cholesterol levels. Berberine also inhibits the enzyme lipoprotein lipase which is responsible for producing cholesterol and triglycerides. Berberine has also been shown to promote cholesterol excretion from the liver to bile. (7-9). A review of 27 studies involving 2569 patients found that berberine with lifestyle intervention lowered blood pressure more than the lifestyle intervention alone or placebo did. 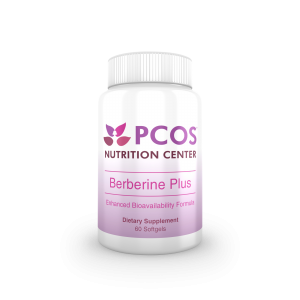 The PCOS Nutrition Center Berberine Plus is is an enhanced bioavailability form of berberine that can help with weight loss, fertility, and improving metabolic aspects associated with PCOS. Berberine improves insulin resistance in granulosa cells in similar way to metformin. Fertility and sterility.2006; supplement S459-S460. Zhang X. Structural changes of gut microbiota during berberine-mediated prevention of obesity and insulin resistance in high-fat diet-fed rats. PLoS One. 2012;7(8):e42529. Tan W et al. Berberine hydrochloride: anticancer activity and nanoparticulate delivery system. Int J Nanomedicine. 2011;6:1773-7. Kong W et al. Berberine is a novel cholesterol-lowering drug working through a unique mechanism distinct from statins. Nature Medicine 2004;10(12): 1344-1351. Arrigo F. Berberine and Monacolin effects on the cardiovascular risk profile of women with oestrogprogestrin-induced hypercholesterolemia. High Blood Press Cardiovasc Prev. 2014;21:221-226. Lan J et al. Meta-analysis of the effect and safety of berberine in the treatment of type 2 diabetes mellitus, hyperlipemia and hypertension. J Ethnopharmacol. 2015 Feb 23;161:69-81. Zou K. Advances in the study of berberine and its derivatives: a focus on anti-inflammatory and anti-tumor effects in the digestive system. Acta Pharmacol Sin. 2017 Feb;38(2):157-167. How much berberine does one take to see benefits? The recommended dosage of berberine in studies is around 500mg, 3x daily. We recommend starting with one capsule of PCOS Nutrition Center Berberine Plus daily for a full week before adding another capsule and again, wait another week before adding another. Berberine is best taken with food. Would one be able to continue Ovasitol and add Berberine or is this over-treating? Yes, you can take berberine and Ovasitol together. They work differently in the body. Is it safe to take with ovasitol? Yes, berberine is ok to take with Ovasitol. Why if the recommended dose is 500mg multiple times a day do you package the supplement in a 400mg capsule? Is using the 400mg capsule sufficient? Yes, 400 mg is pretty close. Berberine is well tolerated-much more than metformin! Could you take this with metformin? yes, you can take berberine while taking metformin. I see you have said that berberine is not to be taken long-term. What is the recommended duration? Can you stop and start it? If so, how long should you take it, and how long should you take off in between? Grace, Berberine with long-term use can increase the risk for liver damage. 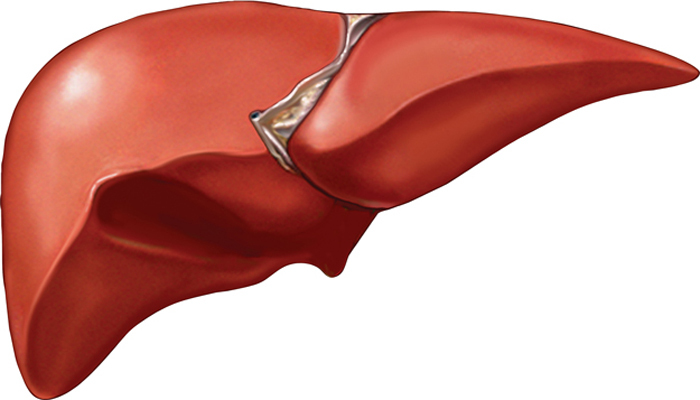 We recommend getting your liver function tests (liver enzymes) every 6 months. If you tolerate berberine fine and it’s not affecting your liver, you can continue on it for perhaps a year or so. You can also stop and start it giving a few months in between. Is Berberine good for all types of PCOS or just the insulin- resistance one, in terms of helping with the symptoms?? Nora, Every woman with PCOS is unique. That’s why we recommend consulting with a regestered dietitian such as ourselves to find out what supplements may be best for you. Berberine can help with many of the issues we mention in this article, not just insulin resistance. We do offer a 45 minute supplement assessment if you are interested you can email us at info@PCOSnutrition.com. What would be the daily recommended dose of Berberine to obtain results as the ones mentioned in this article? 400 to 500 mg of berberine taken two to three times per day. I’ve just stared taking Diane35 oral contraceptive pills and have been reading about Berberine and really want to try as I have PCOS and bad acne… is it safe to take Berberine whilst on oral contraceptive pills? yes, you can take berberine with oral contraceptives. Even though my ovaries have long since descended, I’m loving your articles!–specifically all the research into supplements. Great information! Why did you stop it after a year? Do the effects sustain? Or when you start back up again? Everyone is different. It is good from time to time to take a 2 week break from berberine to give your liver a break. Some women tolerate berberine just fine and can continue on it longer than others. I have bought Berberine with much hope. Unfortunately, I had such severe diarrhea with it that I ultimately had to stop taking it. 🙁 I tried taking imodium with it but it honestly didn’t help too much. I now bought Ovasitol and just started it yesterday. I have been having the same issue but I’m praying that it clears up. 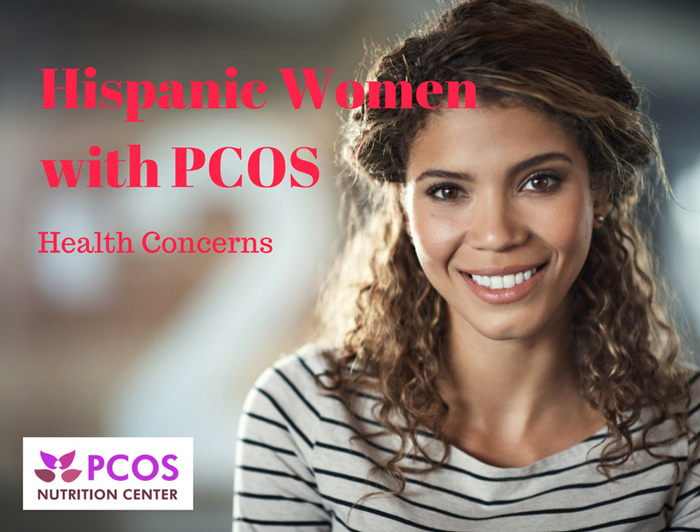 My PCOS has been out of control and metformin can only help so much. Chelsea, sorry to hear about the side effects. We recommend starting slow with these supplements. So for berberine, take 1 capsule with breakfast for the first week, the 2nd week add another capsule to dinner, and the third week, add another to lunch. You may be fine taking 2 capsules per day. 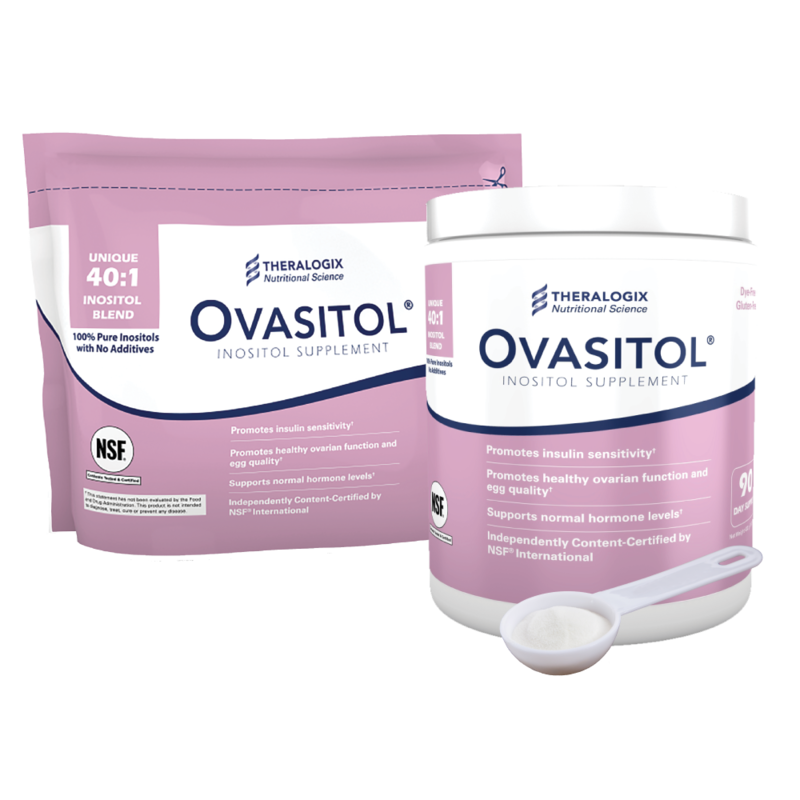 For the Ovasitol, take 1 dosage with 1 meal for the first week before adding a 2nd dose to a different meal the next week. Hope that helps! how much is berberine?where can i buy it? Is it wise to take both berberine and glutamine for carb cravings/weight loss, or would berberine help with both on its own? Everyone is different. You could start with berberine and see how it helps you and if you need to add another supplement. My Dctr suggested me obimet, berberine and omnacortil. Is this safe? yes, berberine can help anyone with type 2 diabetes. Can you take berberine, ovasitol, and a pre natal vitamin all at once? How long can I take Berberine is it a long term or short term supplement? There is no cut off dates or length term. If it’s working for you and you feel fine taking it, you can continue. We do recommend having your liver function tests monitored every 6 months or so.